Craig Lauzon began in alternative sketch comedy in 1996 and in 1999 he was nominated for the prestigious Tim Sims Encouragement Award, a yearly prize given to promising comedic talent in Toronto. 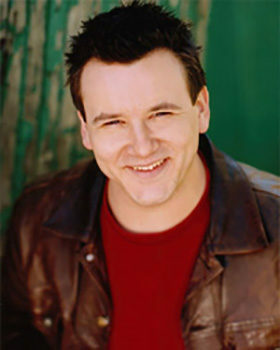 He went on to co-write and star in The Chick and Cubby Comedy Hour, a Canadian Comedy Award nominee for Best New Play. He was also nominated for a CCA for his one hour special Ham I Am for The Comedy Network. He is a member of the sketch comedy troupe Tonto’s Nephews, all of whose members have Native-Canadian roots.